Super concentrated formula to clean, sterilise and deodorise. Makes up to 120 gallons. 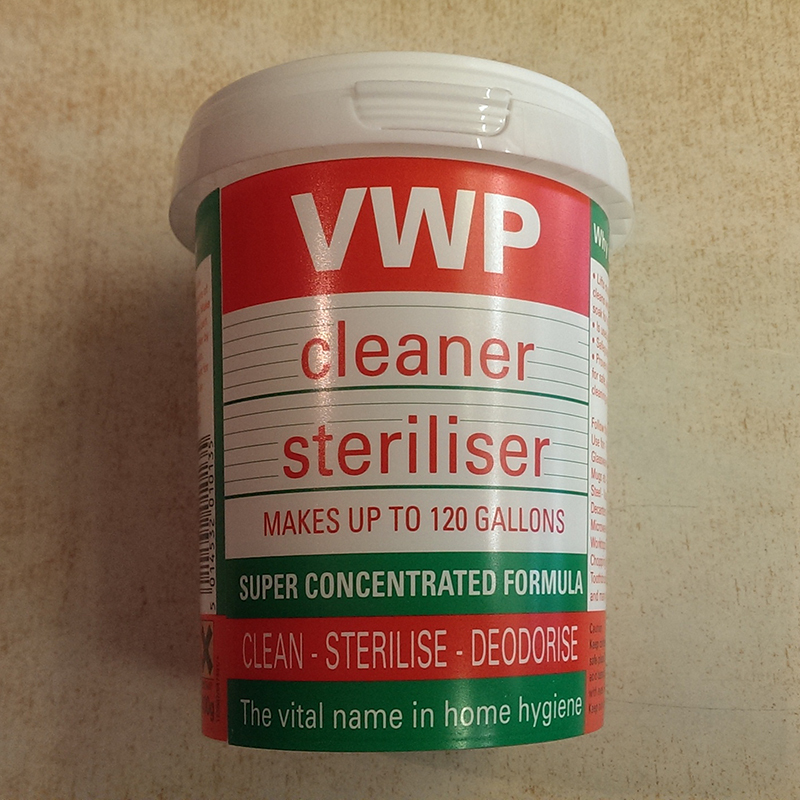 VWP cleans and sterilises in one operation. 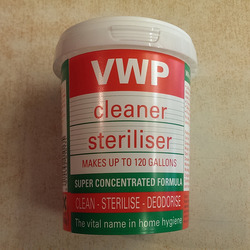 Simply dissolve 1-2 teaspoons of VWP in a gallon of water.